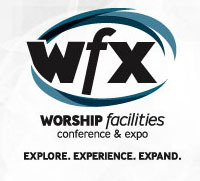 Be Known for Something : Discover Your Church Communication Thread / Random Thoughts / Meet me at WFX! Your whole team can go. Ever want to take your group of leaders (with different passions) to one conference that allows them to explore their separate fields, yet have the same common ministry thread throughout? This is the place. There are Pastors, Tech Teams, Ministry Leaders (and more) all meeting together to explore, experience, and dream about expansion. Experts are there. The keynote speakers are the best in the business. Christian leaders who love the Church — and appreciate everything you do and manage. Plus, they have so many break-out sessions in various fields. Disclaimer: I am a speaker. The reason I add that, is for the sole idea that I know how much I have to provide to them in order to be chosen. It’s an honor — and the other speakers I interact with in the speakers lounge are leaders in their fields too. The Expo is as educational as the conference. The cool part of WFX is the expo. They have hands-on opportunities as well as demonstration areas. You can talk to the industry leaders in lighting, computers, audio-visual, online services and more. I enjoy wandering around the gigantic “sensory-overload” area and drinking in the amounts of companies that are craving to do work with God’s people. It keeps me up-to-date about the latest products and services in the world! I hope I see you there! Stop by my session: Digital Church 201: Developing an E-Media Strategy and say hi. Or maybe you’ll see me soaking in the sights and sounds of a great church conference. It’s always great to see old friends and meet new ones! See you there!